← What does Holy mean? 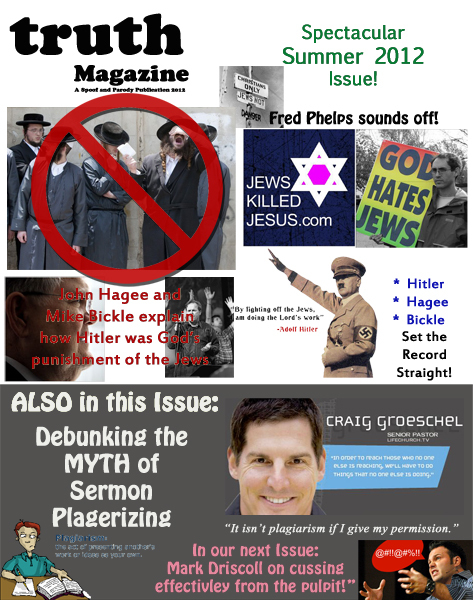 This entry was posted in Parody Magazine Covers and tagged bickle, christianity, craig groeschel, driscoll, hagee, hitler, jews, parody, phelps, plagiarism, spoof, truth. Bookmark the permalink.